Mention Lisa Slagle’s name in Whitefish, Montana, and you will likely get a smile. She left Colorado behind and arrived with force to launch Wheelie Creative, a local graphic design firm. Wheelie’s branding and design reflect Slagle’s fun-loving personality, and she has brought a creative light to many small businesses and organizations in the region, including Whitefish Legacy Partners. 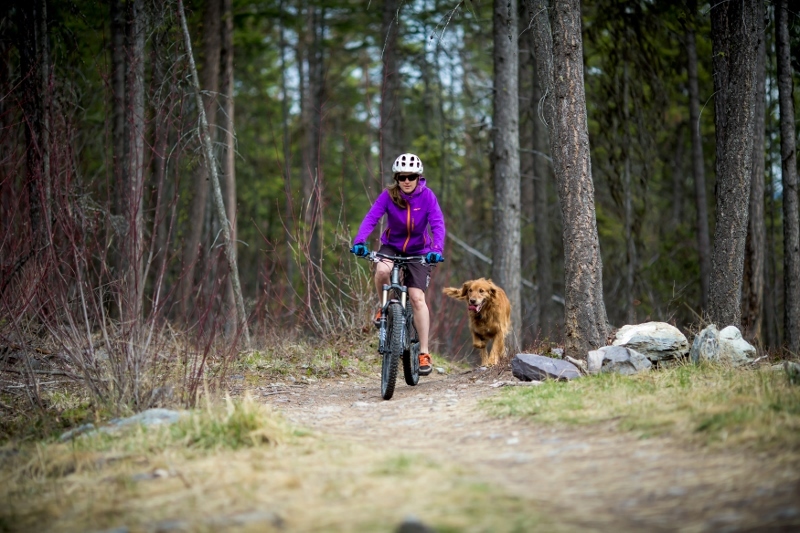 To date, Whitefish Legacy Partners (WLP) and the City of Whitefish have established 26 miles of the Whitefish Trail accessed by seven trailheads. Conservation is a thread that unites all Montanans. Protecting and preserving clean water, wildlife habitat, and access to open lands is vital to preserving our quality of life. WLP is dedicated to creating a lasting legacy for Whitefish and their truly meaningful work is transforming the community. Not long ago, the state lands surrounding Whitefish were subject to development threatening to limit recreational access to these open lands. Three years ago WLP and the City of Whitefish concluded negotiations with the Montana Department of Natural Resources and Conservation (DNRC) to purchase a permanent conservation and recreation easement on 1,520 acres of School Trust Land around Beaver Lakes. Since its inception in 2000, the Whitefish Community Foundation has supported local nonprofit organizations in the Whitefish community with over $12 million in funding. 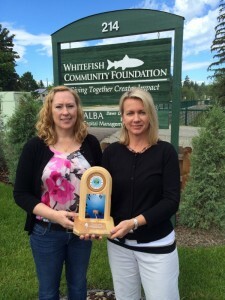 The foundation has also supported WLP with seed money for the Whitefish Trail Learning Pavilion, annual grants for education and recreation projects, a GREAT FISH Community Challenge this summer, and as a financial sponsor in the Whitefish Trail Adopt-A-Trail program. The same section of trail adopted by the Whitefish Community Foundation is also maintained by Wheelie Creative Design. Twice a year, Slagle and fellow employees rake loose rocks, clear drainages, and remove brush from Lion Mountain to Skyles, which only by coincidence, is the same section she rides during her hour long commute to Whitefish. On the heels of completing the Beaver Lakes Easement, WLP is keeping momentum. They aim to open a new section of the Whitefish Trail at Spencer Mountain (8 mile loop), construct three miles of trail providing access to three lakes, and collaborate on the newest conservation and trail project in Haskill Basin. The Trust for Public Land and the City of Whitefish are preparing to purchase a conservation easement on a 3,020-acre Haskill Basin property owned by FH Stoltze Land & Lumber Company. The easement will support the local timber industry through continued sustainable logging, while at the same time, will protect the community’s municipal water supply, conserve important wildlife habitat, and guarantee public access to the incredible recreational playground known as Haskill Basin. The citizens of Whitefish overwhelmingly supported a funding measure to help purchase the easement this spring by voting to add 1% to the resort tax. WLP is currently working with the City and Stoltze to establish a recreation easement that will include a trail on the west side of Haskill Basin, with access from the paved bike path at Reservoir Road. The support from local residents, the City of Whitefish, and organizations like Whitefish Community Foundation has made the Beaver Lakes Easement and 26 miles of the Whitefish Trail possible in only five short years. WLP will continue to rely heavily on trail users and conservation minded community members to create a 55 mile loop around Whitefish Lake. This work creates a lasting legacy and all are welcome to participate in these efforts. For more information, visit www.whitefishlegacy.org.